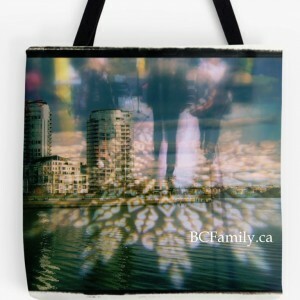 BCFamily.ca: Photos to accompany this post are provided by BCFamily.ca. Trying out “teach yourself soccer” tips found on YouTube. 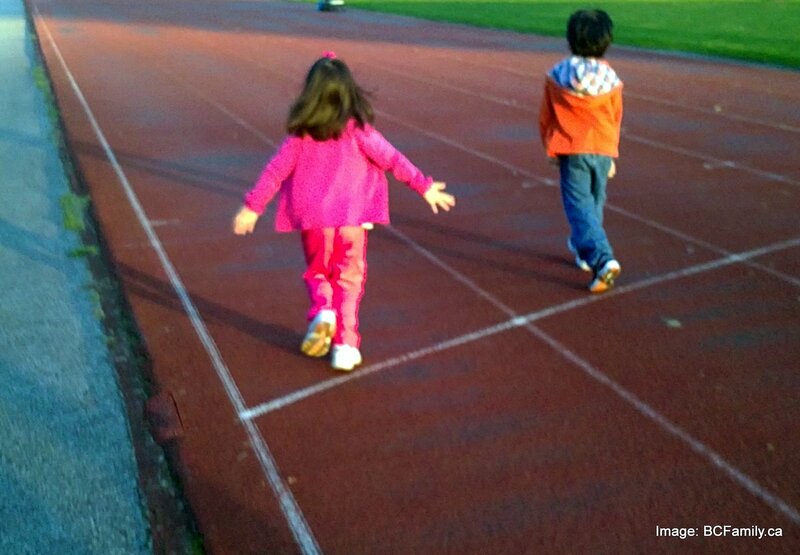 Children develop physical literacy by developing the ability to move confidently in a variety of ways. Movement of the body can be compared to reading – the more you practice being able to move in different ways, the more physically literate you are. 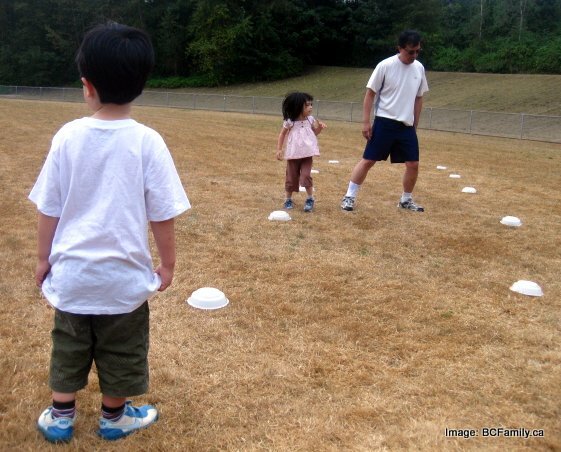 Physical Literacy Checklist: What should your youngster be able to do confidently? while the local high school soccer team practiced nearby. Exposure to sports leads to a passion for physical activities and a life long buy-in for physical activity. As children’s exposure to screen time is on the rise, most studies show there is a lack of passion for physical activity. This is a growing concern as a lack of passion means less active people. This, in turn, means more health issues and possibly shorter life spans. It is recommended that children get 6o minutes of physical activity per day. This concern is so serious that the Public Health Agency of Canada and the Centre for Disease Control in the US have made the 60 minutes per day their guideline. 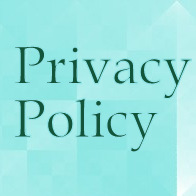 Guidelines from health organizations in different countries: Canada; Ireland; Australia; and, the United Kingdom. 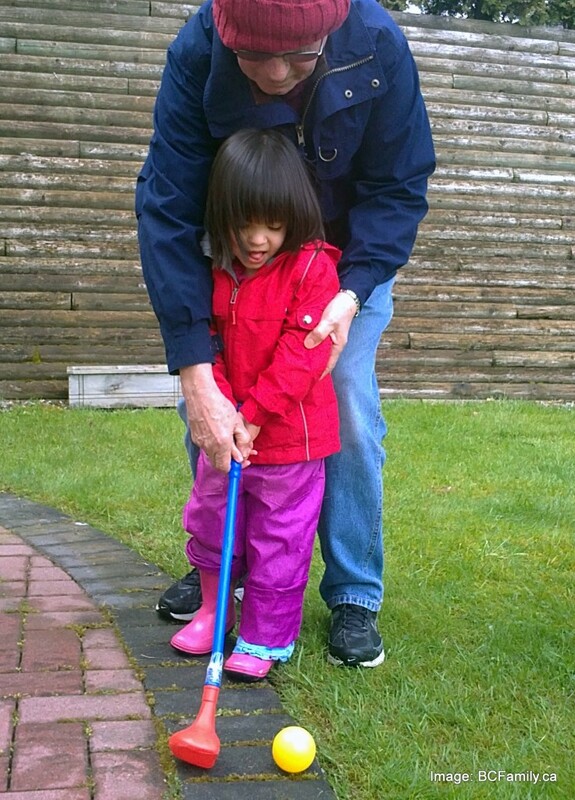 BCFamily.ca: Grandpa teaching how to swing a golf club. It was a grey, gloomy day but it wasn’t raining. Having a bag of sports equipment on hand encourages outdoor activity. Children don’t just get fit from being involved in physical activity. They also develop many social, cognitive and physical skills. The rewards from living an active lifestyle from a young age are significant. Children gain confidence and feel better when they are fit, which allows them to feel better when they are with their friends. As a result of taking part in sports, children can learn about strategy, perseverance and tactics that they can use in many aspect of life. 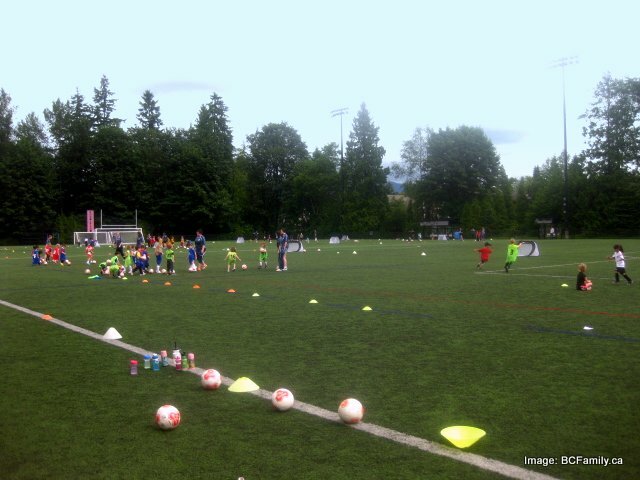 The City of Port Coquitlam sites these benefits in their Community Sports Strategy. Regular physical activity can limit the risk of depression and other mental illnesses. North Coquitlam United Soccer Club and sponsored by Tim Hortons. Financial assistance programmes are available for families. It is important that children have the opportunity to find their own passion for physical activities that they enjoy by trying a variety of sports. There are many places to find programmes including community centres, schools and even through youth groups. Often the people who run programmes are willing to come and give people a free trial for a program. Many Community Centres also have programmes to help families who have a financial barrier. 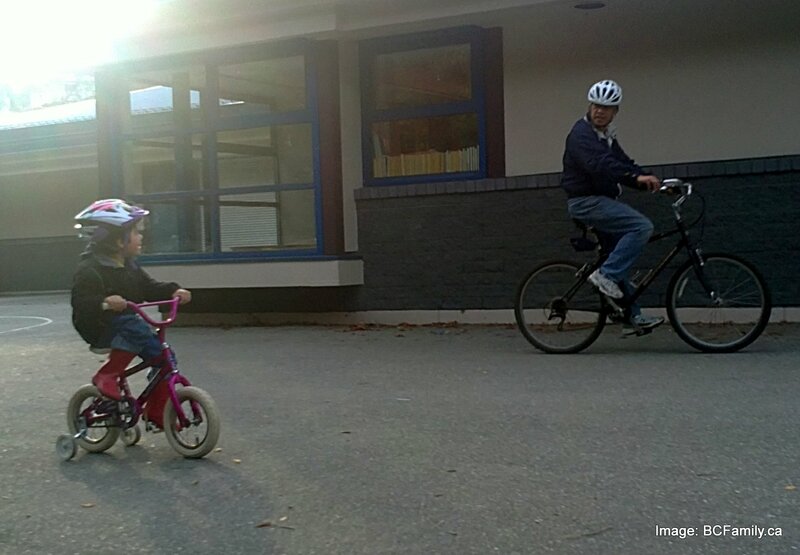 BCFamily.ca: Children’s interest in biking encourages parents to use their bikes more often. If you live in a hilly area or far from bike friendly routes, investing in a bike rack can help. Encouraging your children to be active can help you to get motivated. 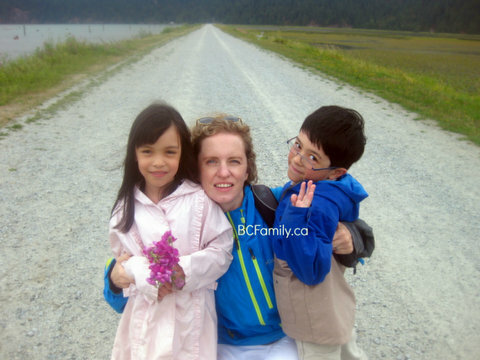 Active Children equals Active Parents. More inspiring messages about how children will do what you do. bowled, including power bowlers (grandparents, aunt, uncle and cousins). Choosing a sports programme is easy. Allow your child to show you what he or she is interested in and seek out programmes that exhibit the values you would like to teach your child. All recreation centers have a wide variety of programming. Do trial classes until you find something that works with your schedule that your child likes. Most centers have great customer service and if you do not like a program you can often withdraw and go on to something else. 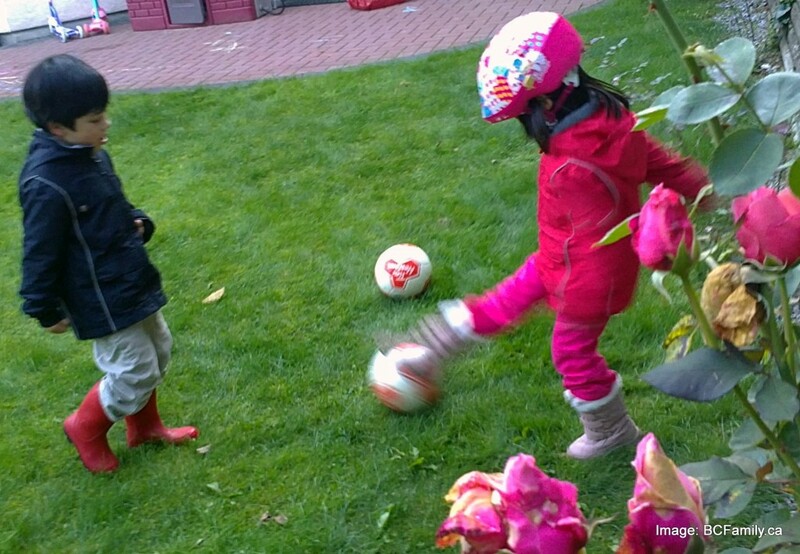 Children learn a lot about themselves through sports. 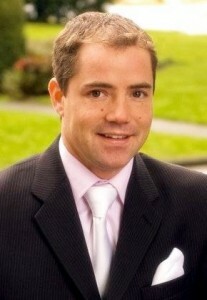 In order to facilitate that discovery process it takes a highly trained professional to deliver the sports programme. 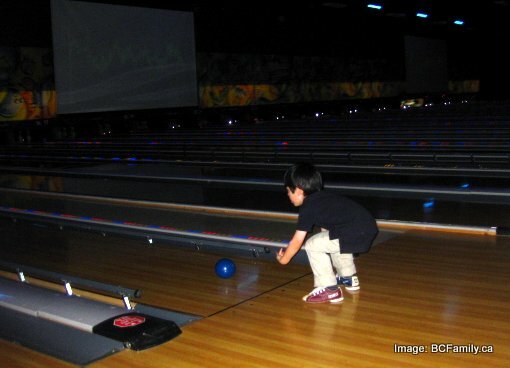 For younger children, avoid competitive sports – especially if your child is timid. Ease your child into a sport by finding skills based programming where the instructors are trained to work with young children. Often sports programs have professional or amateur athletes as coaches. They can be talented but be aware that professional athletes are not always specialists in teaching skills or dealing with children. Programs put on by the recreation center can be high quality but sometimes they have limited staffing resources. Look for the specialist in your area that provides the type of program you want. Recreation centers also bring in high quality programmes and offer them in their space. Identify the branded programs that has a good reputation and strong track record. 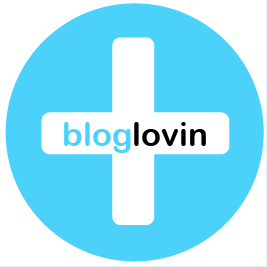 Resource guide for parents with tips. Playing soccer while taking a break from bike riding. Children need to enjoy life. Every exposure is an adventure. Even if the opportunity isn’t ideal, learning new skills is a positive experience. The more a child is exposed to these opportunities, the more creative they can be. Enable your child to take part in a physically active program just for some FUN! Lee Richardson is a father of two boys. He holds a BSc. from Royal Roads University and BEd in primary education from York University. Coach Lee is an entrepreneur, kayaker, owner of EcoQuest Camps and the CEO of Richardson Sport Inc. 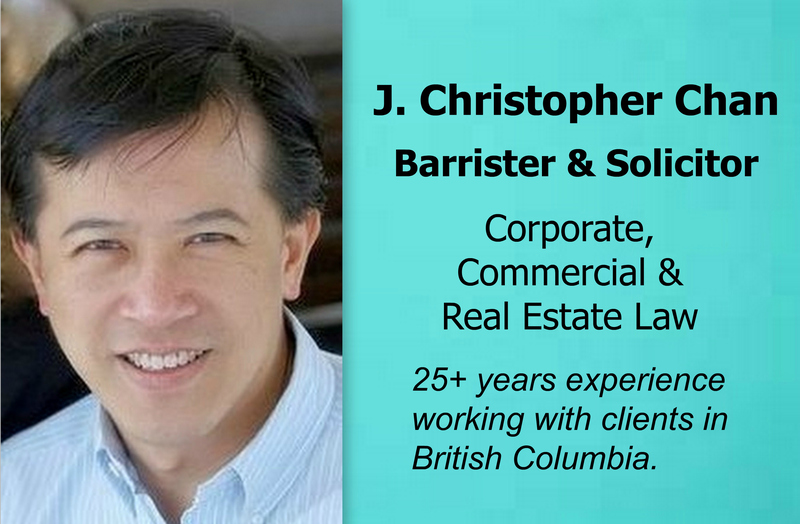 He operates Sportball in the Lower Mainland, Victoria and Seattle. You can contact him at LeeR [at] sportball.ca or check out his blog.